Maldon Golf Club caters for the full range of golfers from beginners to scratch handicappers, Men, Ladies and Juniors. 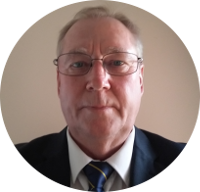 I am delighted to serve as the Maldon Golf Club captain for the forthcoming year, having served on the committee for the last 6 years 5 of them as chairman I feel that I am well qualified to take up the mantle as captain. It is a great honour to become captain of this magnificent club of ours and I intend to enjoy my year as a captain should, I will endeavour to attend as many functions and play with as many members as possible throughout the year. I am also delighted to have Andy West as my vice-captain and we both will enjoy the year ahead. As a club we offer a friendly welcome to new members and would encourage all levels of golfer to visit our club as a green fee and you may well become a full member after seeing what we have to offer. My Charity this year will be CRY (Cardiac Risk in the Young), more specifically the Kayleigh Griffiths Memorial Fund. Many thanks and I look forward to seeing you at the club. Men's Captain charity for the year. Every week in the UK at least 12 young people die of undiagnosed heart conditions. 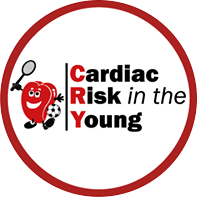 Cardiac Risk in the Young (CRY) works to reduce the frequency of young sudden cardiac death (YSCD). CRY supports young people diagnosed with potentially life-threatening cardiac conditions and offers bereavement support to families affected by YSCD. CRY promotes and develops heart screening programmes and funds medical research. I am looking forward to my year as Lady Captain at this historic club. Maldon G.C ladies are a small friendly group but very supportive, particularly to ladies who want to take up the game of golf. Our golf course offers both a tranquil environment in which to enjoy your game whilst at the same time providing a challenge to golfers of all abilities. 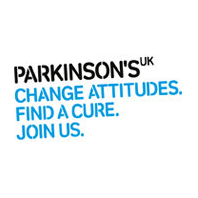 My chosen charity for this coming year is Parkinson's UK. The money raised will go to help local people who are struggling with this debilitating condition. Ladies Captain charity for the year. We're the Parkinson's charity that drives better care, treatments and quality of life. Because we're here, no one has to face Parkinson's alone. Parkinson's is a condition that affects the brain. The number of people diagnosed with Parkinson's in the UK is about 145,000. That's around 1 adult in every 350. Honoured to be captain of the Maldon Seniors section for the 2019 season. 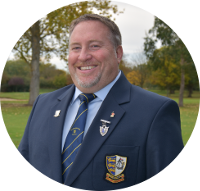 I have previously been a member at Benton Hall and Braintree golf clubs, but have now been a member at Maldon for around 20 years. I would like to take this opportunity to invite any golfers, still in employment or not, over the age of 55, to join our Seniors section and give it a try. The Charity I am supporting this year is the Phoenix Childrens Ward at Broomfield Hospital. Seniors Captain charity for the year. 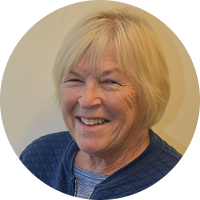 In Phoenix Ward we aim to provide safe, dignified, compassionate care. Phoenix ward is a children's medical and surgical ward caring for children who are admitted as an emergency or who require an overnight stay in hospital. Copyright © 2019 Maldon Golf Club - All Rights Reserved.